Our Company Frank Ward, REALTORS is a local full service real estate brokerage Company serving the Durham N.C. and surrounding areas. 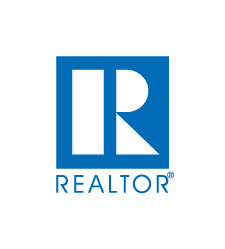 Handling listing and selling of homes, and other real estate. In 1964 Frank Ward started Frank Ward, REALTORS in Durham, NC handling real estate sales for his friends and customers. Mr. Ward was a REALTOR and general appraiser. In 1999 Mr. Ward transitioned Frank Ward, REALTORS and became an adviser, consultant and mentor to assist his long time close friend, Broker In Charge & General Manager, Marvin Bobbitt. Today Marvin Bobbitt continues operating the business as instructed by Mr. Ward. Mr. Ward taught Marvin over the many years together side by side. Mr. Ward mentored Marvin to continue his business into the future. We are proud to be here today and help our customers in 2018 and years to co​me. Mr. Frank Ward passed away April 27, 2010. Today we still give personalized professional real estate service for all of your real estate needs - homes, condominiums, town houses, land and appraisals and consulting. We have a wonderful staff with lots of experience. Homework: Frank Ward, REALTORS does it...by being good listeners and careful analysis of your needs...best possible location as to neighborhood, schools, shopping access, churches, environment and your budget. Our screening saves you time, money and frustration. We want you satisfied. Frank Ward, REALTORS has it...through consistent advertising, TMLS, the internet, the interface with related beneficial groups, and endless hours of hard work. Our record proves we get results and referred business from our many satisfied clients. Frank Ward, REALTORS knows where the buyers are and how to reach them - through the Internet, Homes and Land Magazine and newspaper advertising. Fast releases, with comprehensive information multiplies your exposure to the maximum possible visibility. The mortgage loan market changes daily. Frank Ward, REALTORS keeps in touch with lending institutions on a continuous basis, enabling us to secure the best possible financing for you. The property valuation of your property is important to you. Frank Ward, REALTORS provides prompt service and qualified guidance to enable you to establish the market value of your property. Our staff includes a professional, licensed appraiser. The Frank Ward, REALTORS team is recognized for the smooth way it handles things. Our real estate agents are full-time North Carolina licensed Brokers, who maintain continuing education on an annual basis. Our Brokers have good educational backgrounds, who know all the ins and outs, who like their field and being successful. You benefit. You can't help but notice their dedication. Up with the times and tuned into your needs. Find out why Frank Ward, REALTORS has been serving Durham and the surrounding area since 1964. Give us a call, we want your business!